We’re less than two months out from the next Star Wars film and you can practically taste the anticipation. But just in case you need more reasons to get totally hyped for The Last Jedi, Lucasfilm has revealed a new still and dropped a new behind the scenes video that takes us right to the top-secret Star Wars set. First, USA Today unveiled a brand new still of Mark Hamill’s Luke, which you can see above. But even more exciting, the magazine debuted the on set clip, packed with brand new looks at sets, costumes, characters, and so much more. There’s Rian Johnson giggling like a little kid as he talks about how awesome it is to be on a real-life Star Wars set, there’s the late Carrie Fisher as graceful and witty as ever, a slow-mo shot of the red dust from Crait, and a peak at Supreme Leader Snoke’s Grand Throne Room. Sadly, no porgs are in sight. We don’t know much about Del Toro’s character, but a couple months back we learned his “slicer,” a.k.a. hacker, is involved with a mission that finds Finn and Rose at Canto Bright, a fancy gambling hub. 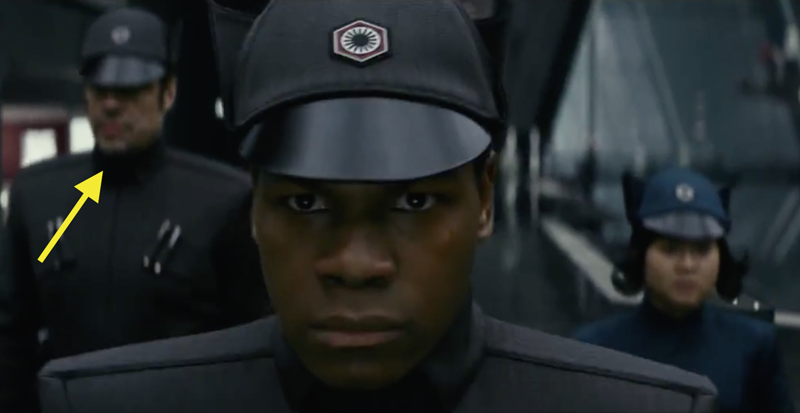 Boyega revealed that Finn and Rose seek out DJ’s help since he’s the best codebreaker in the galaxy. So yeah, that’s most likely him in that shot. Stay tuned for more Episode 8 reveals as they come fast and furious over the next several weeks. Star Wars: The Last Jedi hits theaters on December 15.